The leak began shortly before 3pm in the middle of a debate organised by Aberdeen South MP Ross Thomson on the loan charge – a new tax due in April that will affect up to 100,000 contractors who used controversial tax avoidance schemes. Conservative former minister Justine Greening had been speaking when the leak began. The chamber was suspended after MPs began looking nervously at the torrent from the old rafters above. Following Ms Greening’s speech, Labour MP Justin Madders (Ellesmere Port and Neston) said: “I hope I can complete my speech before rain stops play. 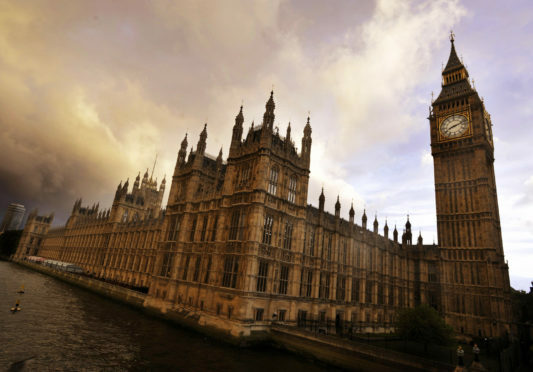 The House of Commons adjourned for the day at 3.13pm, more than two hours earlier than scheduled, because of the water leak.